Do you like to read or listen to poetry? 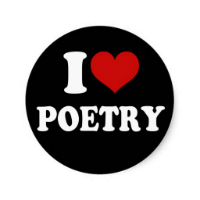 Join our poetry group! We meet once a month on Monday evenings in "season." Bring a poem you love or admire (not one you have written yourself, please) that relates to this month's topic(s). December's topic is FIRST EXPERIENCES. Bring 6 to 8 copies to distribute so everyone in attendance can have one for reference. After each person reads, we will have a time for brief discussion/comment before going on to the next poem. Be prepared to say a few words about the poet's background and why you chose this particular poem to read to the group.